Nigeria’s most dominant weightlifter in over a decade, Mariam Usman, will be presented with her Bronze medal from the Beijing 2008 Olympics by the Nigeria Olympic Committee (NOC) on Thursday, September 7th. Usman, who has represented the country at three Olympic Games (Beijing 2008, London 2012 and Rio 2016), finished 5th at the Beijing Olympics. However, she was upgraded to the Bronze medal position after the Silver and Bronze medalists from that event, Olha Korobka of Ukraine and Kazakhstan’s Mariya Grabovetskaya, were suspended by the IOC for failing a drugs test, following a re-analysis of their doping samples from 2008. According to a letter signed by the Secretary General of the NOC, Tunde Popoola, Usman will be awarded the Bronze medal during the NOC’s Executive Board meeting slated to hold by 11.00am at the Media Centre of the National Stadium in Abuja on Thursday. Usman is a four-time African Champion and reigning GOLD medalist in her category at the Commonwealth Games. She also has a Bronze medal from the 2011 World Championships in Paris, Silver from the Delhi 2010 Commonwealth Games, and two Silver medals from the 2007 and 2015 editions of the African Games. 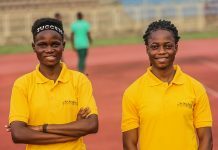 It will be recalled that Nigeria’s 4x100m women’s quartet of Damola Osayomi, Franca Idoko, Halimat Ismaila and Gloria Kemasuode, had initially won Bronze at the same Beijing Games. However, they were upgraded to Silver after the Russian team was stripped of its GOLD medal as sprinter Yulia Chermoshanskaya, who was a member of the team, was disqualified for a failed drugs test, following re-analysis of her doping sample. Belgium was upgraded to GOLD after originally claiming Silver, while the Brazilian team which initially finished 4th, was awarded the Bronze medal. Track and Field sensation Blessing Okagbare, who originally won Bronze in the women’s Long Jump in Beijing, was also upgraded to Silver earlier this year after the IOC stripped Russia’s Tatiana Lebedeva of the Silver medal in the event. 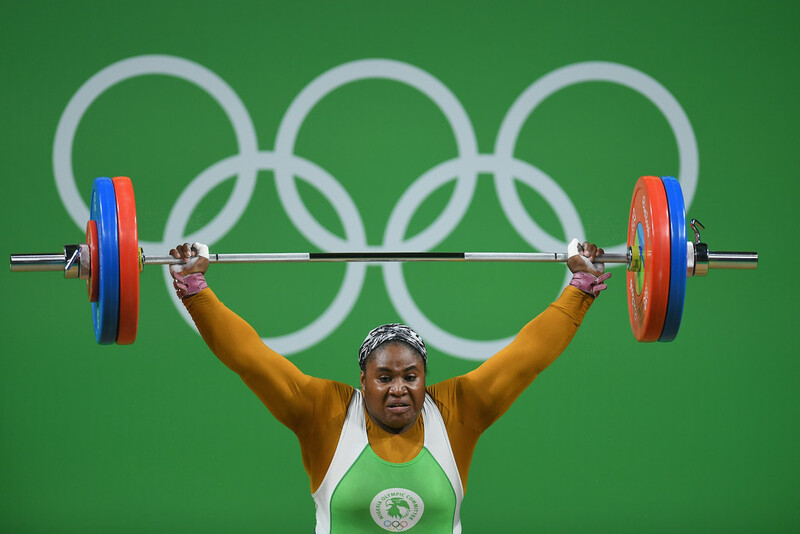 As such, Nigeria’s tally from the Beijing Games is five medals comprising of three Silver medals (Football, women’s 4x100m and Long Jump), and two Bronze medals won by Usman in Weightlifting, and Chika Chukwumerije in Taekwondo.